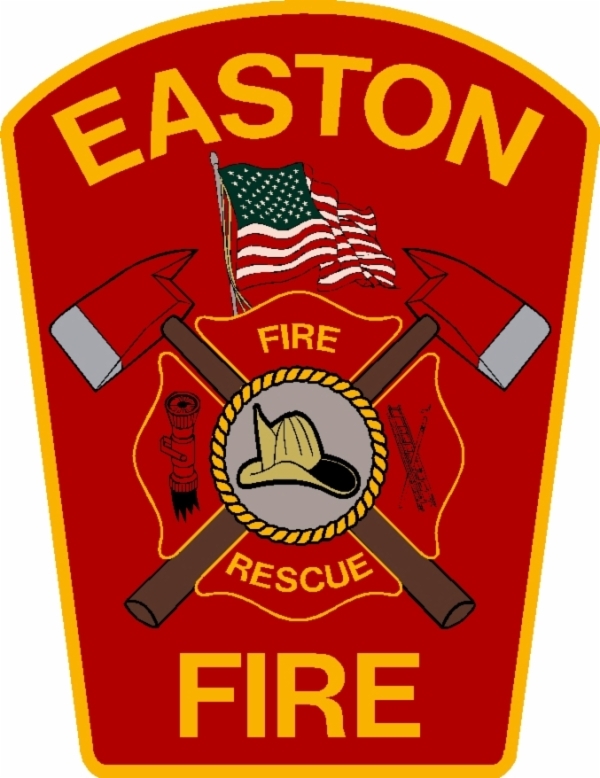 Chief Kevin Partridge reports that the Easton Fire Department extinguished a fire in the attic of a condominium complex early Monday morning. At approximately 4:22 a.m., firefighters responded to 11 Nancy Road for a report of smoke showing in the attic of Unit 4. Upon arrival, firefighters located heavy fire in the attic of units 4 and 5. All residents of the nine units in the building had made it out safely, along with their pets. No injuries were reported. Capt. Evan Malone, the initial incident commander, immediately requested mutual aid from surrounding fire departments. Firefighters from the West Bridgewater, Stoughton and Sharon fire departments responded to the scene, while a crew from Brockton provided station coverage. Firefighters had to use ladders to attack the fire from the rear of the building because a section of the roof had partially collapsed. It took about an hour for the heavy flames to be fully knocked down. After checking for hot spots and doing overhaul, the scene was cleared at approximately 9:30 a.m. The 12 residents of the nine units will be temporarily displaced while the building’s electricity and water service are shut off. Once the utilities are turned back on, most residents will be able to return home. However, two residents in units 4 and 5 will be displaced for a longer period of time due to fire, smoke and water damage in the units. The initial investigation indicates that the fire had started in the attic and is not considered suspicious. The cause of the fire remains under investigation. EASTON — Police Chief Gary Sullivan and Fire Chief Kevin Partridge report that the Easton Police and Fire Departments responded to a fatal pedestrian crash on Route 138 Wednesday afternoon. The victim was a 64-year-old Easton man. His identity is being withheld pending the notification of his next of kin. At approximately 12:50 p.m., Easton police and fire personnel responded to the area of 70 Washington St. (Route 138) for a report of a pedestrian crash. Upon arrival, first responders located man who was suffering from life threatening injuries. Two bystanders were performing CPR on the man when paramedics arrived. The man was immediately given medical treatment for significant traumatic injuries by Easton Fire Department paramedics and was transported by ambulance to Good Samaritan Medical Center in Brockton. The man later died from his injuries at the hospital. The preliminary investigation indicates that the man was pulled over in the breakdown lane of Washington Street and was attempting to change a tire when he was struck by a person driving a pickup truck with a plow. The driver of the pickup truck stayed at the scene and was cooperative with police. The Massachusetts State Police Collision Analysis and Reconstruction Section (CARS) responded to investigate the crash. The cause of the crash remains under investigation. Route 138 will be closed from Rockmeadow Road to Dickerman Road while the crash is being investigated. Drivers are asked to seek alternate routes.